Varsity team standings: 1. Benet 29, 2. Marist 85, 3. Notre Dame 94, 4. Saint Viator 113, 5. Carmel Catholic 149, 6. Nazareth 153, 7. Marian Central 170, 8. Marian Catholic 187, 9. 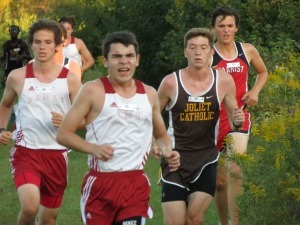 Joliet Catholic 230, 10. Saint Patrick, 257. Individuals: 1. 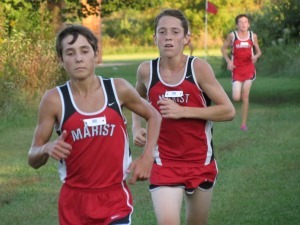 Connor O'Keefe (B), 15:54.1; 2. 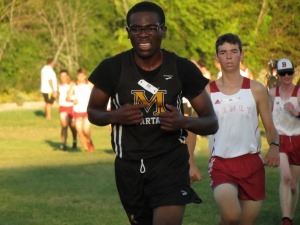 Ryan Jones (MCC), 15:58.3; 3. Thomas Leonard (MA), 16:06.2; 4. 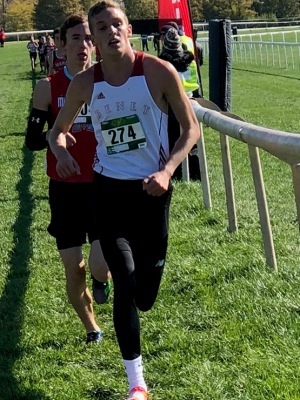 Ben Grundman (B), 16:18.3; 5. Peter Walsdorf (MCC), 16:24.1; 6. Dominic Adams (B), 16:32.8; 7. Jack Robinson (B), 16:36.8; 8. Patric Natindim (SV), 16:40.1; 9. Scott Sikorski (NZ), 16:45.5; 10. Alexander Speer (C), 16:50.1. Frosh-Soph team standings: 1. Benet 23, 2. Joliet Catholic 86, 3. Saint Viator 111, 4. Notre Dame 114, 5. Marist 120, 6. Nazareth 120, 7. Saint Patrick 149, 8. Carmel Catholic 179, 9. Marian Central 260, 10. Marian Catholic. Individuals: 1. Braden Heckman (B), 17:07.8; 2. Sergio Mendieta (SP), 17:48.6; 3. Niklas Anderson (B), 17:51.8; 4. Sage Osborne (B), 17:53.0; 5. 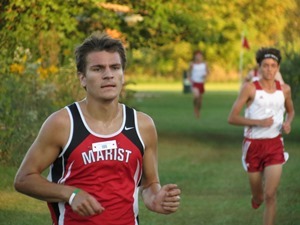 Zach Bertino (JC), 18:00.8; 6. Dominic Ullmer (B), 18:01.8; 7. Andrew Ciarlette (JC), 18:06.1; 8. Owen O'Connor (JC), 18:12.2; 9. John Derbis (B), 18:17.2; 10. Andrew Kerlin (MA), 18:21.6..